48! This is my 48th article. I must admit this has been the hardest and most painstaking part of my job as State Master. I hope they have been at times thought provoking, provocative and useful. I have tried to hit upon subjects that are timely and relevant to the current environment or situation. I hope this month is no exception. I want to touch on respect. Respect for each other and for the Grange. As State Master I field a lot of calls and emails from upset members who feel they have been disrespected by another. This is far too common. Many times it is a simple misunderstanding, but other times it does seem deliberate. I understand we will not always see eye to eye on every issue, and that is ok. Differences of opinion are healthy and productive during deliberations and debate but should never be used as a platform for personal attacks or belittling. 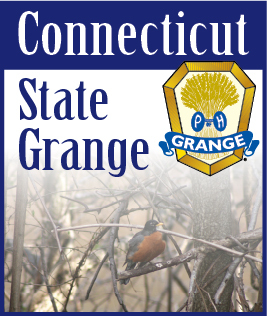 When it comes to new or newer members not knowing the “Grange way,” or questioning why things are done the way they are, serve as a mentor and make the information available to them so they too can be as knowledgeable as you, the seasoned member. I work with someone that says something that drives me nuts, “you don’t know what you don’t know.” Did you know what you know when you started anything new? No, respect where each other is coming from, and when those differences arise, and they will, remember we are all in this together!